For the historical former county that existed from 1844 to 1855, see St. Lucie County, Florida (1844-1855). St. Lucie County is a county located in the state of Florida, in the United States. As of the 2010 census, the population was 277,789. The county seat is Fort Pierce. As of the 2015 Census Estimate, St. Lucie County is at a population of 298,563. St. Lucie County is included in the Port St. Lucie, FL Metropolitan Statistical Area, which is also included in the Miami-Fort Lauderdale-Port St. Lucie, FL Combined Statistical Area. The area was originally inhabited by the Ais tribe, a hunter-gatherer culture whose territory extended from south of the St. John's river to the St. Lucie Inlet. Spanish explorers frequently encountered the fierce tribe as the Spanish treasure routes ran parallel in order to take advantage of the strong Gulfstream current. The area was given several names by the Spanish including Rio de Ays (later anglicized to Indian River) as well as Santa Lucia, named after the short-lived late 16th-century Spanish fort that bore its name farther south. The fabled 1715 Spanish treasure fleet sank off the area that is now St. Lucie County, leading to the regional naming of the area as the Treasure Coast. During the early 19th century, the Spanish government issued several land grants in the area, one of which went to settler James Hutchinson. The grant contained 2,000 acres (8.1 km2) and today the barrier island Hutchinson Island still retains his name. During the mid-1800s, Seminoles and runaway slaves sought refuge in the virtually uninhabited area. 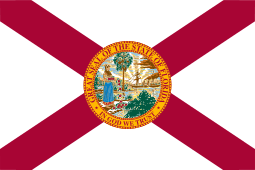 By 1837 the Second Seminole war had broken out in Florida. In December 1837, a group of soldiers under the command of Lt. Colonel Benjamin K. Pierce sailed down the Indian River and established a fort, naming it after their commander. Today the county seat of St. Lucie County is still known as Fort Pierce. In 1841, the United States government began issuing land grants under the Armed Occupation Act to Americans who were willing to settle the area. Several of these grants were within the boundaries of today's St. Lucie County. The Third Seminole War in 1851 saw the building of a second major American fort in the area, Fort Capron, located in the area that is today's St. Lucie Village. From this point on the area became gradually more populated as settlers ventured down for health and economic reasons. The Flagler railroad reached the area in the 1890s. Major industries at the end of the 19th century in the area included pineapple, fishing and seafood canning and cattle. Citrus would not become a major crop until the early 1900s. The city of Fort Pierce was chartered in 1901. 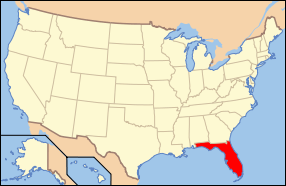 Up until 1905 the area had been under Brevard County (although Brevard County had been named St. Lucie County from 1844 until 1855 when it was renamed Brevard County). During the summer of 1905, St. Lucie County was created from the southern part of Brevard County with the county seat being at Fort Pierce. Other settlements at the time in St. Lucie County's boundaries included Jensen, Eden, Anknona, Walton, Eldred, White City, Viking, St. Lucie, Oslo, Vero, Quay, Sebastian and others. In 1925, Indian River County was created out of the northern part of St. Lucie County, while Martin County was created from a small part of southeastern St. Lucie County and the northern part of Palm Beach County during that same year. 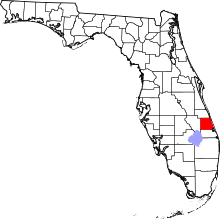 Much of western St Lucie County had already gone in 1917 to form Okeechobee County. The 1920s saw increased land speculation and planned developments such as Indrio and San Lucie that never came to fruition due to the bust in 1929. During World War II the United States Naval Amphibious Training Base was established in Fort Pierce on North and South Hutchinson Island. During its operation over 140,000 troops were processed through the base. The post-war years saw a major population boom in the area, some of which were returning sailors and their families that had undergone training at the Navy base. In 1958, General Development Corporation, a subsidiary of Mackle Brothers, bought tens of thousands of acres of land along the St. Lucie River in the southern part of the county in order to build a new community. Colorful and clever advertising soon drew thousands of northeastern retirees and families to the area, laying the foundation for the future city of Port St. Lucie. Population and building booms in the late 20th century led to the formation of other areas west and south of Port St. Lucie including St. Lucie West and the new master planned community of Tradition. The early 21st century brought many trials for the county including two major hurricanes in 2004 and an economic and housing slump starting in 2008. In 2005, St. Lucie County celebrated its 100th birthday. According to the U.S. Census Bureau, the county has a total area of 688 square miles (1,780 km2), of which 572 square miles (1,480 km2) is land and 116 square miles (300 km2) (16.9%) is water. St. Lucie County is served by the St. Lucie Transportation Planning Organization (TPO). The TPO is a Metropolitan Planning Organization (MPO), a federally mandated and federally funded transportation policy-making organization responsible for transportation planning, programming, and financing of State and Federal Transportation Funds for St. Lucie County. The TPO is governed by a TPO Board, which is composed of elected officials, representatives from the St. Lucie County School Board, and representatives from Community Transit, a division of The Council on Aging of St. Lucie, Inc. The original bus system started out as a demand response service bus in the 1990s, it only served St. Lucie County. Soon it expanded to a fixed route system, going to predetermined locations along a route. 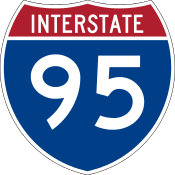 On June 3, 2002, the Florida Department of Transportation (FDOT) approved funding, expanding the bus service to Martin County, and became the Treasure Coast Connector. As of the census of 2000, there were 192,695 people, 76,933 households, and 54,237 families residing in the county. The population density was 337 people per square mile (130/km²). There were 91,262 housing units at an average density of 159 per square mile (62/km²). The racial makeup of the county was 79.14% White, 15.42% African American, 0.24% Native American, 0.95% Asian, 0.05% Pacific Islander, 2.37% from other races, and 1.82% from two or more races. Hispanic or Latino of any race were 8.16% of the population. 86.6% spoke English, 7.6% Spanish, 1.6% French Creole and 1.0% French as their first language. 3.3% of the population identified themselves as being of non-Hispanic West Indian Ancestry. According to census of 2000, the largest ancestry groups in St. Lucie County were: English 34%, African 15%, Irish 14%, German 13%, Italian 10%. In 2005 St. Lucie county had a population that was 69.2% non-Hispanic white, 16.5% African-American, 12.4% Latino and 1.3% Asian. In 2000 there were 76,933 households out of which 26.30% had children under the age of 18 living with them, 55.30% were married couples living together, 11.10% had a female householder with no husband present, and 29.50% were non-families. 23.50% of all households were made up of individuals and 12.40% had someone living alone who was 65 years of age or older. The average household size was 2.47 and the average family size was 2.89. In the county the population was spread out with 22.60% under the age of 18, 6.60% from 18 to 24, 25.10% from 25 to 44, 23.00% from 45 to 64, and 22.70% who were 65 years of age or older. The median age was 42 years. For every 100 females there were 95.50 males. For every 100 females age 18 and over, there were 92.80 males. The median income for a household in the county was $36,363, and the median income for a family was $41,381. Males had a median income of $30,047 versus $22,684 for females. The per capita income for the county was $18,790. About 9.60% of families and 13.40% of the population were below the poverty line, including 20.50% of those under age 18 and 7.70% of those age 65 or over. According to St. Lucie County Supervisor of Elections website, registered voters as of October 1, 2012 totaled 173,304: Democratic 74,281, Republican 55,755, NPA 36,517, Other 6,751. St.Lucie county has favored democrats in recent decades, but in 2016 it flipped in Donald Trump's favor. Schools in the county are managed by St. Lucie County Public Schools. St. Lucie County is served by the St. Lucie County Library System. 1 2 "State & County QuickFacts". United States Census Bureau. Retrieved February 15, 2014. ↑ "COASL: Our Services > Transportation". ↑ "Treasure Coast Connector: Home". ↑ "Treasure Coast Connector: Routes & Maps". ↑ "U.S. Decennial Census". United States Census Bureau. Retrieved June 16, 2014. ↑ "Historical Census Browser". University of Virginia Library. Retrieved June 16, 2014. ↑ "Population of Counties by Decennial Census: 1900 to 1990". United States Census Bureau. Retrieved June 16, 2014. ↑ "Census 2000 PHC-T-4. Ranking Tables for Counties: 1990 and 2000" (PDF). United States Census Bureau. Retrieved June 16, 2014. ↑ "State & County QuickFacts". U.S. Census Bureau. Retrieved 2009-02-18. ↑ "FAU HBOI : Florida Atlantic University - Harbor Branch Oceanographic Institute". ↑ "St. Lucie County, FL : St. Lucie County History". Wikimedia Commons has media related to St. Lucie County, Florida.